Sometimes, you don’t have to travel far to get a dose of exotic culture. To prove this point, The Columbus Dispatch has named Gondwana’s Northern Lights Ecotour as their trip of the week! 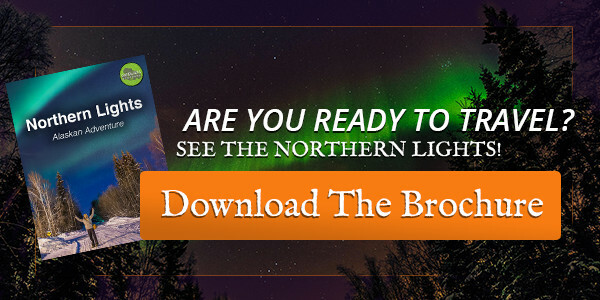 Though seeing the northern lights is a once-in-a-lifetime experience, their readers don’t need to go far to achieve it. The article focuses on the trip’s highlights, seeing “local culture by day and the opportunity to photograph the aurora borealis by night. 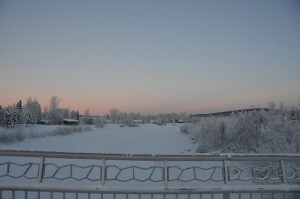 With 6 days in Alaska, there is plenty of time to explore the nature and culture in Fairbanks. There are plenty of exciting adventure to keep your days full (think snowshoeing, dog sledding, and soaking in hot springs), but the real spectacle comes at night. Since many of our guests have never been to Alaska or seen the Aurora, Gondwana takes care of the guesswork so you can enjoy your trip. Not only are lodges, most meals and activities planned in advance, but we also provide support for capturing the Aurora. “In the evenings, guests get the chance to see the northern lights and take pictures.” With personalized wake-up calls when the aurora is active, to working with a professional photographer, Gondwana provides additional luxuries that help you capture the moment. We’ve been hosting tours in Alaska for years, and are ready to help our guests experience the Aurora. There are some basic guidelines for photographing the northern lights. There are certainly many factors to consider, such as time of year, cloud cover and proximity to city lights, but what about the photography and gear? Gondwana Ecotours: 8 Tips You Need to Know About Photographing the Northern Lights: A concise description of when to go, what photography equipment to bring, and clothing to wear. A great basic guide from our point of view. PetaPixel: A Beginning Photographer’s Guide to Photographing the Northern Lights: Covers the science behind the aurora, beginner photography tips, and potential obstacles to consider. Photography Life: How to Photograph the Northern Lights: A detailed guide that includes equipment, photography techniques and post-processing tips. Includes great step-by-step tutorials about photo editing. Many thanks to The Columbus Dispatch for naming Gondwana’s Northern Lights Ecotour as their trip of the week! However, in our opinion it’s the trip of the season! Visit our website to learn more about the aurora and trip inclusions.